You may think you have seen storms and experienced some intense storms…but “Baby, you ain’t seen nothin’ yet!”. Picture this: A green sky over a dusty road in Kansas, a dryline supercell storm filled with megatons of water hovering over the fields like an alien spaceship. 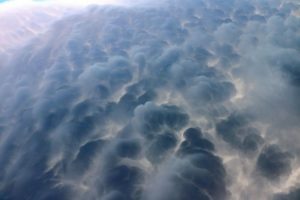 The storm is sculptured into perfection in stacked layers, mammatus clouds in the back, fiercely thrusting down positive lightning everywhere – lightning that is literally shaking the ground. The storm is brewing hail on top of your head and the hail roar of the soft ball sized hail is audible – hail that will soon destroy cars and create havoc in the town nearby. The inflow of winds to the hungry storm makes it almost impossible to stand outside. You smell dirt, rain, and excitement. …and, I haven’t even mentioned the tornadoes yet. Experiencing a supercell storm is a good enough reason to go on a storm chasing trip. I wouldn’t say that a tornado – a fully condensed, well contrasted tornado – is the icing on the cake because it is so much more than that. There is something completely out of worldly about seeing a tornado. It’s like suddenly seeing another moon around earth, experiencing zero gravity in your living room, or finding a bug in the Matrix. It’s just wrong. I mean, our Planet shouldn’t be doing something like that! It shouldn’t drop tubes of violently rotating columns of pure power to the ground ripping up everything in its past. Until you see that with your own eyes, it is just something you know exist but it cannot be fully understood – and it gets more vivid the closer you get. Supercell storms are rare, but if you go on a one week storm chasing trip you are quite likely to see at least one. There is no tornado guarantee though. 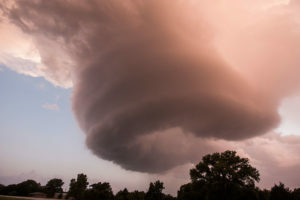 Only a tiny fraction of all thunderstorms, even on the Plains, are supercell thunderstorms – and only a few of those supercells produce tornadoes. Still, even if you may see a tornado it may be a tiny one by the horizon, a tornado almost completely obscured by rain or a tornado which is not fully condensed (for all of which Reason #2 above doesn’t apply). I have seen, on average, tornadoes once every 10 days I have been chasing tornadoes – and I have been going with some of the best storm chasers on the planet. I have seen a great tornado maybe once every 15 chase days. You don’t just go out on a grandma’ type of safari, grab a tornado and head back for some beer and bowling. You have to be lucky – and luck is about playing the numbers, i.e. chasing every extra mile and go those extra days. 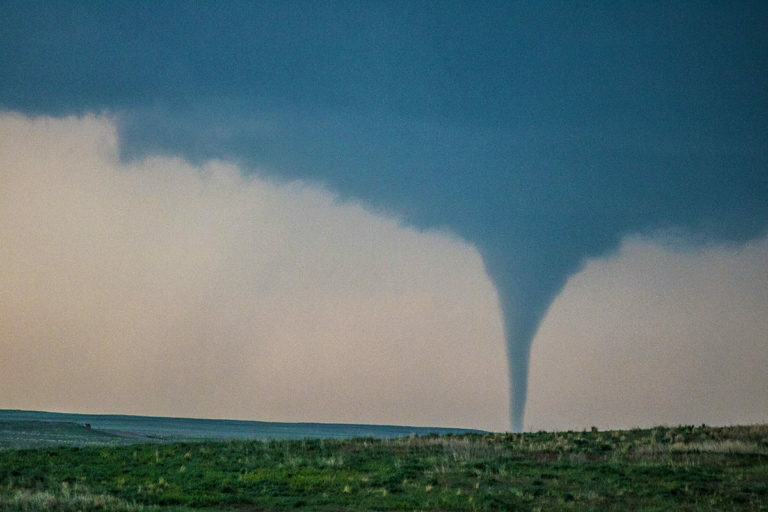 When you do see that tornado – it is just worth every mile in the car, every near miss, and every blue sky bust – when you know you have seen something very few people get to see. Seeing a supercell storm and a tornado will change the way you look at the sky. It will extend the borders of what you thought was possible. Next time you experience a normal thunderstorm back home you will know that this is just the little friendly puppy of a storm compared to what you have seen. There is a humbleness in that that won’t wear off. In fact, even looking up at blue skies with some cumulus clouds will not be entirely the same. Many people in Alabama on April 27th 2011 woke up to blue skies, with invisible dynamite brewing in the atmosphere above, only to have their homes leveled to the ground a few hours later. The storm that produced the EF-5 tornado that destroyed Joplin in May 2011 didn’t even exist 2 hours prior to the town was almost gone! No cloud, nothing… It exploded out of nowhere (“nowhere” being the keg of powder that was the atmosphere that day) in record time. When you know what the sky is capable of, you just don’t go back and look at it the same way again. I know this shouldn’t be a reason to go on a storm chasing trip but, whether you want it or not, it is. If you want to post your best tornado shot on Facebook or Instagram and get all those 👍, 😲, and 💖- it is likely to be your most liked photo in your social media “career” (just shy of your wedding pic and the one with your first baby). Of course you don’t care about that but how about telling your own kids, or just grandkids about that day when you witnessed the Finger of God touch ground 1 mile north of you on that corn field in Nebraska? How about casually mentioning that when that guy at your neighbor’s BBQ won’t stop talking about his amaaazing trip to Mexico? How about knowing, for yourself, you have witnessed a true wonder of nature – at least once in your life (outside of the birth of your children, of course)? I have to admit that much of the parts in which you chase storms are not the prettiest parts of the USA. One tend to prioritize terrain that is flat, with fields reaching the horizon, a few cows grazing, and that’s pretty much it. Wide open places like that has its own beauty and for each his own, but it does get boring after a while. What is more interesting is where the random nature of driving, while chasing, will take you. 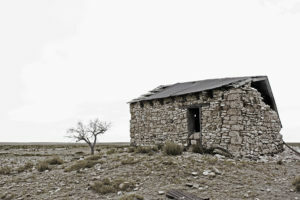 The restaurants you visit, the people you meet when you stop on a lonely dirt road in Wyoming, stopping for lunch in a small town that haven’t had an outside visitor all year, the ghost towns you will pass, and the people that will strike up a conversation with you out of curiosity for what you are doing – these are all a beautiful bonus to your trip. Then, there is the High Plains. If you chase in late May or June, you will end up in parts of Colorado, Wyoming, Nebraska, South Dakota, and (if you are lucky) Montana – some of which will offer some spectacular scenery with rolling green hills, endless skies, and cute, small towns with friendly people. These are absolutely stunning places! Depending on what type of life you live you may, or may not, have a whole lot of time of your own. How often do you get to read that book that you bought? Have you had time to sit and let your mind drift for hours? How about casually wasting time on something pointless, like your favorite iPad game? You spend many hours in the van – it can be boring but can also be a lovely time to catch up with yourself. Relax, take time to be bored, think, read, write, contemplate – or just get to know your fellow chasers. When you go on your storm chasing tour do try to read up on some basic storm meteorology. There are lots of entertaining and educational videos on YouTube that explain how, and why, supercell storms form. The more you know, the more fun you will have – compared to being passively shuttled from storm to storm by your tour guide. By knowing more you will appreciate the small things while chasing, the formation of a tail cloud, the crispness of an anvil, the storm development on radar etc. Chasing storms will not just be about waiting for that tornado to come. Now, understanding why and how storms form is both quite simple (you need moisture, shear, instability and lift) and very difficult. The more you learn, the more you understand how little you know – but there is always a new level of understanding in front of you. This challenge, and trying to understand what the storm will do, where you should go, which storm is the most promising etc this will be an endless source of curiosity that will keep you come back for more. Storm chasing is a not an adrenaline sport per se. It is not directly comparable to off-pist skiing, parashooting etc (although I do compare them below). In most cases it is more like scuba diving in terms of preparations, taking security measures, planning ahead – and then watch nature in awe. 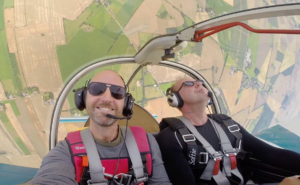 When you book your trip a few months in advance you start getting a bit of pre-season excitement, perhaps while checking out cool video clips on YouTube. When you finally fly to your start destination you start getting that feeling of calm anticipation. Then you have the first morning announcement: There is a good chance of tornadoes in the OK/TX panhandle? Great! You are off! Every hour then in the van feels like an itch, you want to be there and you want it to start NOW – along with the small dread (what if that target area in central Kansas was better?). You arrive to your target area, watch the towers build up – and then you see it on radar – the Storm of the Day. You need to regroup. While chasing towards the storm, it grows by every radar update. It starts to rotate, it gets severe warned. It starts to get that iconic hook shape and gets tornado warned – but you are still 30 minutes away! You arrive to the base of the storm and the wall cloud is already formed and has a cone shape. You drive up close and watch as that cone thins out to a rope and you see the rotation on the ground. Tornado! The rope quickly fills up to become a perfect tube. You stand watching in awe until your tour guide shouts: “It is coming our way. We need to go. Now!”. You run back to the van, shut the doors, loose your cap in the wind, while spurting on to the next viewing spot. My last reason why you should go on a storm chasing trip is my subject reference as an adventure traveller. I have personally travelled to 57 countries, lived on 4 continents and tried everything from parashooting, acrobat flying, fishing piranhas in the Amazon basin, watching white sharks in South Africa, snorkeling in the Galapagos, thai boxing in Thailand etc – and there is nothing I have enjoyed more than storm chasing! I wasn’t a weather aficionado before I went on my first storm chasing trip, I just thought it would be, you know…cool. It was. And it was amazing in ways I have never felt with any other type of activity. The, almost philosophical sense of seeing Mother Nature in her worst mood and understanding how small you truly are in this Universe is something very unique about storm chasing. If you enjoy similar activities and enjoy seeing the wonders of this planet – storm chasing is the Crown Jewel of adventure traveling. 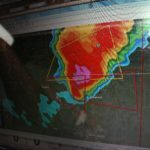 If you feel like going on a storm chasing tour there are multiple storm chasing tours to choose from and this website is all about comparing them. At this time of year (April 2019), a lot of the tours are sold out as the tour companies are ready to get out on the roads – but the seats that are still available are often discounted. Check out those current deals and discount on storm chasing tours here. 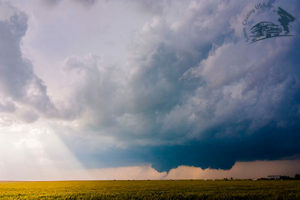 If you really can’t afford a storm chasing tour, you may get some ideas from this blog post about affording your storm chasing tour. I truly hope to see you on the roads this season. If you read this and see me, please come up and say hi! After all, you will learn that after a few seasons of chasing there is a Reason #11 of chasing – the people you meet and the friends you get.